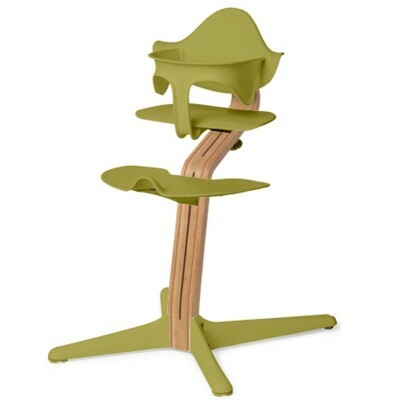 Nomi Highchair + Mini Restraint - Walnut / ..
Nomi Highchair + Mini Restraint - White Oak..
Nomi Highchair + Mini Restraint - Black Oak..
Leander High Chair (excl. Safety Bar) - Whi..
Cybex LEMO Baby Set with Harness - Infinity..
Bloom Fresco - Seat Pad (Large) W/ Harness .. When your child is ready to sit upright, it is time to attach the Nomi Mini restraint to Nomi Highchair. Nomi Mini is like a safe arm around your child when learning to sit unassisted at the table. 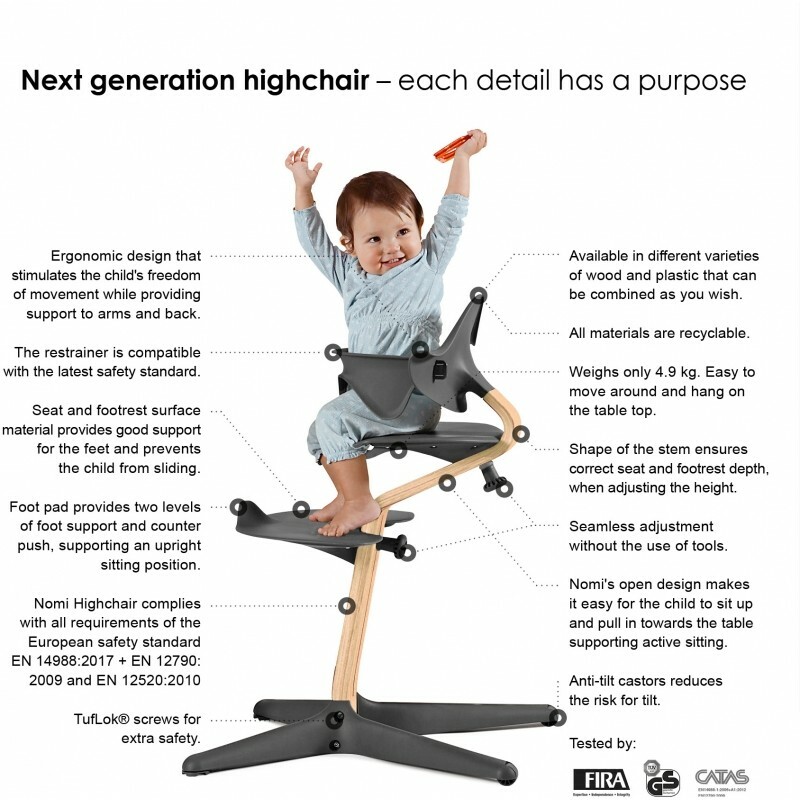 Nomi Mini complies with the new and stricter safety requirements while offering comfortable support all the way around your child - and still allowing free movement. Nomi Mini is easy to attach. 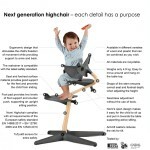 It simply clicks on, first underneath the seat and then on the backrest. The leg gaps are designed for maximum safety, complying with the new EN safety standards. 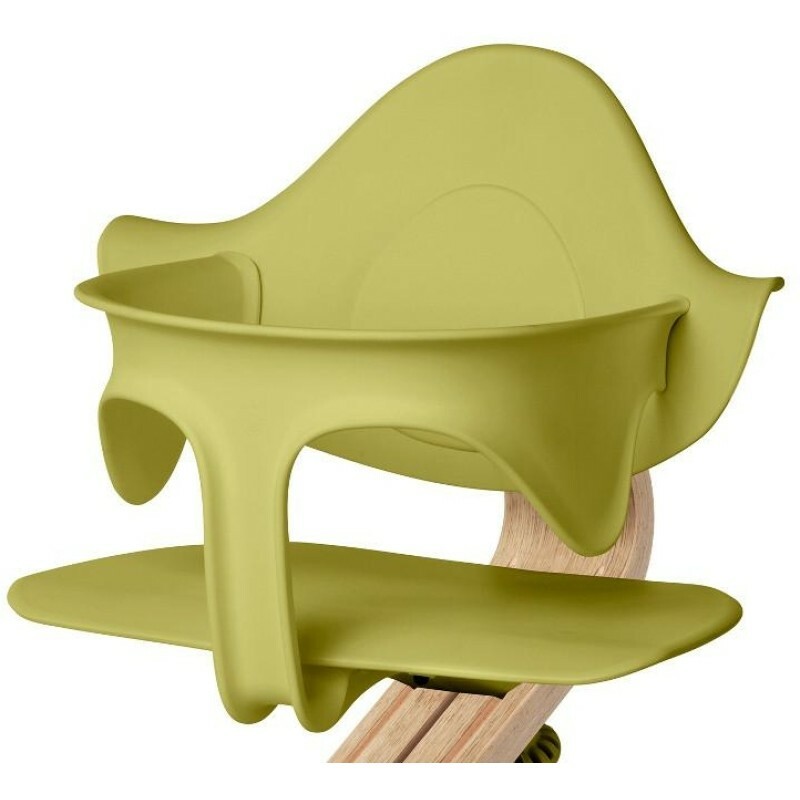 The rounded, organic contours create a comfortable highchair with unrestricted movement- and no doubt your toddler will be busy exploring, tasting and gesturing at the family table. The small wheels on the rear legs of the chair are a unique safety feature reducing the risk of tilting, in case your child pushes backwards from the table. Please note that young children always need adult supervision. Also buy the reversible Nomi Cushion for added comfort - sold separately. 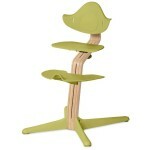 When your child is ready to climb up and down from the chair without help, it is time to remove Nomi Mini.